The economic crisis in Europe forced many EU countries to introduce austerity measures, affecting many areas of the social and economic life of EU citizens. However, there is especially one field where policies should encourage the exact opposite, and in which Europeans should invest more: innovation. Entrepreneurial diversity is of great importance for the European project. However, the European society does not seem to be mindful enough of this matter; according to Euro barometer figures (2012) only 37% of Europeans would rather be self-employed than employed. Thus, Ms DRAKE insists on the need to proactively make entrepreneurship more attractive to Europeans. It is essential to start learning skills and acquire knowledge and aptitudes from an early age. The European Commission is already taking care of the matter. It launched the Entrepreneurship Action Plan in January 2013, with which they provide entrepreneurial education and training, they create an environment where entrepreneurs can grow and they provide role models to inspire the younger generations. Furthermore, they also present other programmes such as programme COSME, Erasmus for young entrepreneurs or Enterprise-Europe Network. All of them assist SME’s in many different levels. On this note, Mr CORREIA DE CAMPOS added the Eurostar’s programme, as a part of the ‘SMEs Instrument’. Nevertheless, as Mr KURT stated, there is a need to improve the communication between entrepreneurs and institutions. 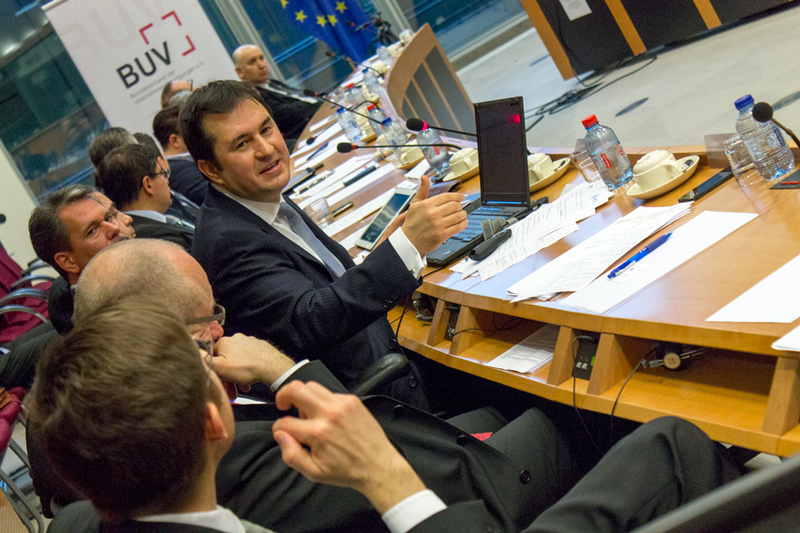 Entrepreneurial associations such as UNITEE and BUV play a key role on this matter, helping support European integration. The lack of finance and the disadvantaged position of SME’s against large companies strongly restrain the entrepreneurial spirit according to Ms GOMES. There is a need to ask the financial systems, companies and administrations to invest more in start-ups and give support to entrepreneurship as well as work against bureaucracy and administrative burdens. Mr SEDÓ added that we need a mentality change and insists on the fact that the fear of failing should not be an obstacle, it is just part of the learning process. Consequently, SME’s are the cradle of innovation nowadays. However, only a small percentage of the European budget is dedicated to Research & Innovation. Ms DRAKE asserts that migrant entrepreneurship comes forward on this matter as New Europeans serve as human bridges across countries and cultures -such as New European entrepreneurs of Turkish descent between Europe and the Middle East- and thus, they represent a powerful force for innovation in all sectors of the economy. In line with Mr SEDÓ, Mr SURJÁN pointed out that innovative entrepreneurship can only take place if society is willing to take risks and highlighted the importance of social responsibility. It is clear that innovative entrepreneurship is necessary for the European economy and that New European entrepreneurs are key to success, but they also have the duty to be role models for the younger generations that may come. Read the full report here and view the picture gallery here.